Each eye picks up a slightly different image, but through a process called fusion, the brain blends the images together to make one three-dimensional picture. Good eye coordination is needed, however, and allows the eyes to sustain proper alignment so that they can focus on practically the same image, though it is seen somewhat differently. For some, eye coordination is poor. It may be the result of immature eye muscle control or a defect in vision development. Because of this, the person must apply excessive force to try to keep the eyes aligned. Should poor eye muscle control be severe enough, the muscles cannot adjust the eyes enough for them to capture the same image, and double vision may be the outcome. 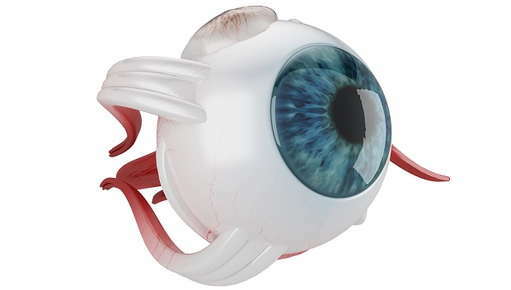 Vision therapy is one type of treatment used to assist with the correction of eye coordination problems. This form of physical therapy uses a mixture of vision exercises and specialized equipment to train the visual system to repair itself and reduce eye strain. Implemented under the guidance of an optometrist, vision therapy is performed in an office once to twice a week for up to an hour. Depending on the severity of the eye coordination problem and associated symptoms, the types of exercises and equipment will be tailored to meet the individual needs of the patient. These factors will also determine the number of sessions the patient requires. To complement in-house visits, the optometrist may also instruct the patient on how to perform certain vision exercises at home. When vision therapy is complete, and all necessary sessions have ended, the patient’s visual skills and capabilities should have improved and symptoms should have decreased significantly. In addition, visual efficiency should have enhanced and the patient should be more efficient when it comes to processing and understanding visual information.